Passers-by around Scape would have been scarcely aware of the event that was going on inside the *SCAPE Warehouse, but the fashionably dressed ushers at the entrance certainly turned a few heads. 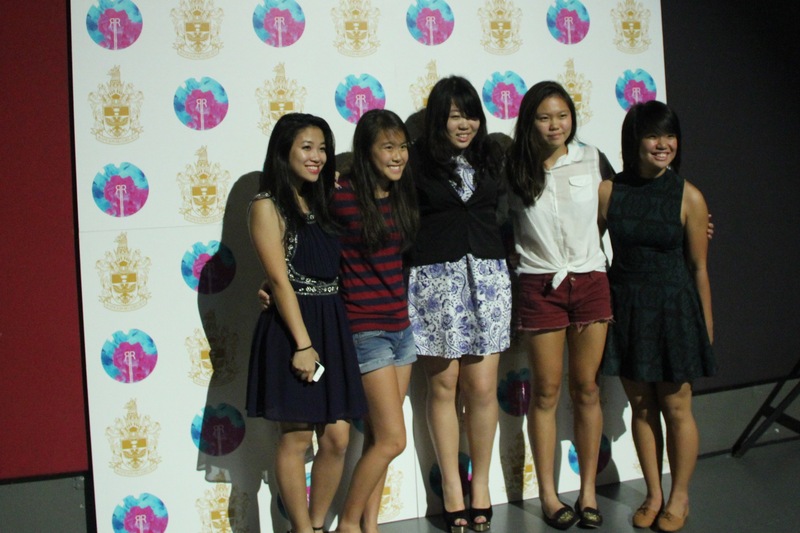 Ushered in by the well-dressed Runway members, a rather subdued atmosphere greeted you as you entered the event space. With the dim lighting as well as the constant flashes of the camera at the photo area, this was truly an event to see and be seen. Even as the show was scheduled begin, immaculately dressed individuals were still observed sauntering to their seats. This was, after all, the perfect occasion to be “fashionably late”. In true fashionista style, the show began nearly 20 minutes late, but it was well worth the wait as Raffles Rock delivered an electrifying rendition of Maroon 5’s “Makes Me Wonder” to kickstart the show. The first collection shown was the Mother-and-Child collection which Raffles Runway had launched in collaboration with the ‘motherandchildproject’. The children models specially roped in to model the clothing from this segment were greeted with loud cheers from the crowd, as all in attendance could hardly contain a smile at the sight of a cherubic toddler wearing gorgeous, runway-worthy clothes. Raffles Rock provided the awesome music for the night, singing a variety of upbeat songs for the models to strut along to. 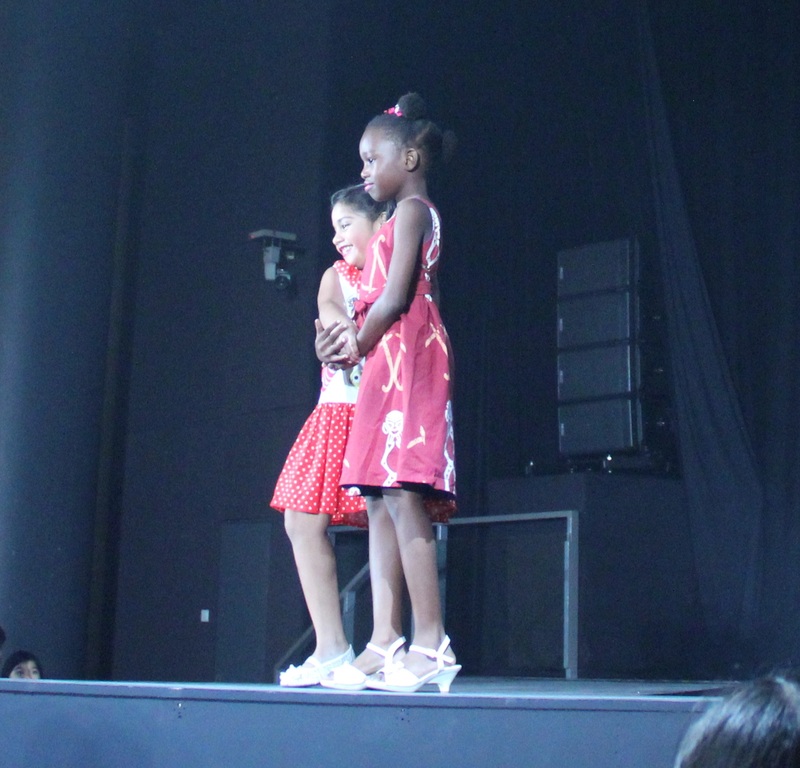 The children were right at home on the runway, gamely posing for the cameras. A quick return to the fashion industry proper was in store. The next segment of the event was a presentation of some of the designs by fashion label Noel Caleb, a local online fashion label that has been instrumental in supporting RProject, by overseeing the choreography, organization and catwalk training for the models. The collection featured mostly dresses and skirts with feminine silhouettes and bold colours, and included an element of fun with interesting shapes, cutouts and drapes in the various pieces in the collection. 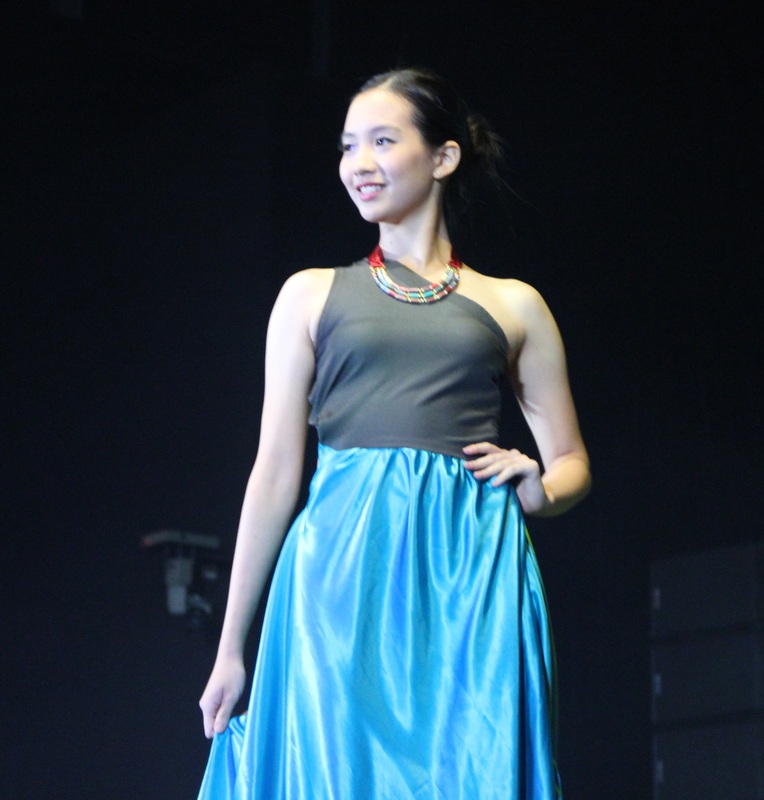 It was highly enjoyable, presenting stylish designs that were unique and eye-catching, yet easily wearable. 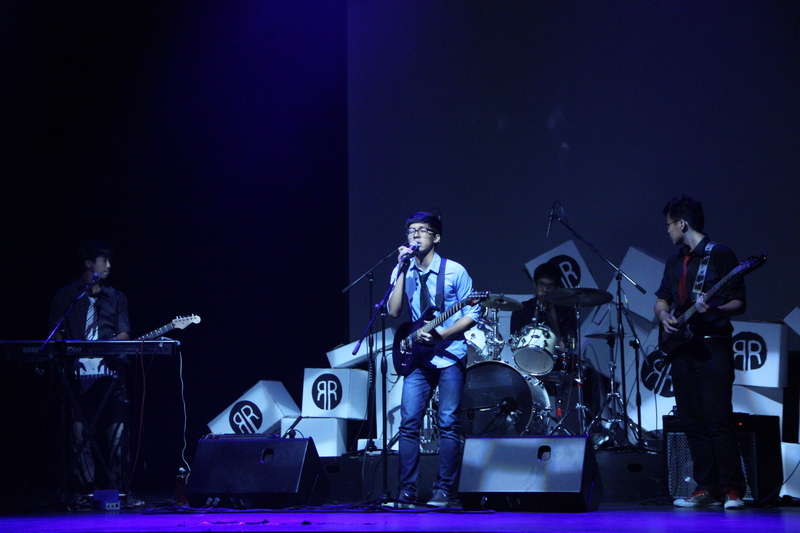 The first segment came to a rousing end with Raffles Rock taking centre-stage and delivering Muse’s “Resistance”, concluding their performance for the night. Dropping the spotlights and reviving the warm glow of the general lighting, the audience eased into the intermission with a casual mood. Cue Round 2 of photo taking and mingling! The second segment was what most of the audience had been eagerly awaiting – a thematic presentation of an original collection entitled Paradise Lost. 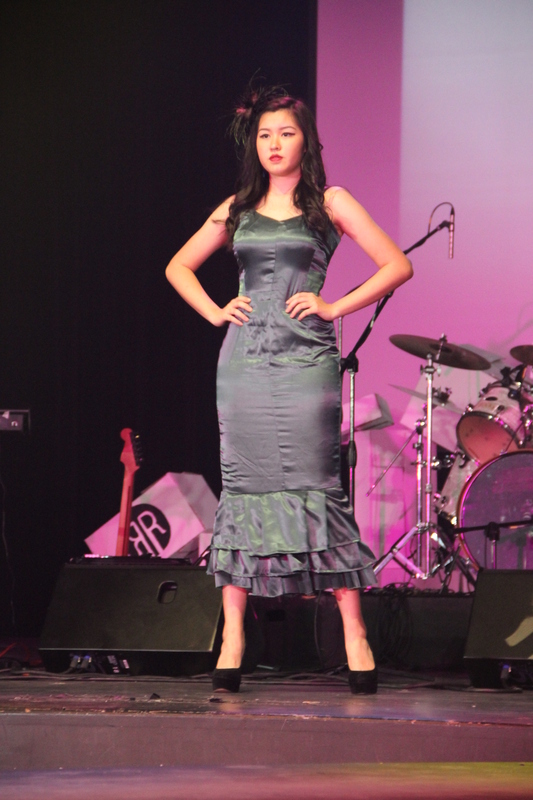 Each original piece was designed by the members of Raffles Runway, in lieu with the theme. The limited time that each carefully constructed piece was presented on the runway belied the months of hard work put in by the designers to arduously conceptualize, design, and even personally sew their outfits carefully calibrated to the dimensions of the models. The result of all the work that was put in was indeed a feast for the eyes, which each audience member was sure to have enjoyed immensely and appreciatively, judging from the cheers and applause the emanated from the audience. The first thematic collection was entitled “Eden”, an allusion to the perfect and ideal harmony of the biblically-documented garden paradise. 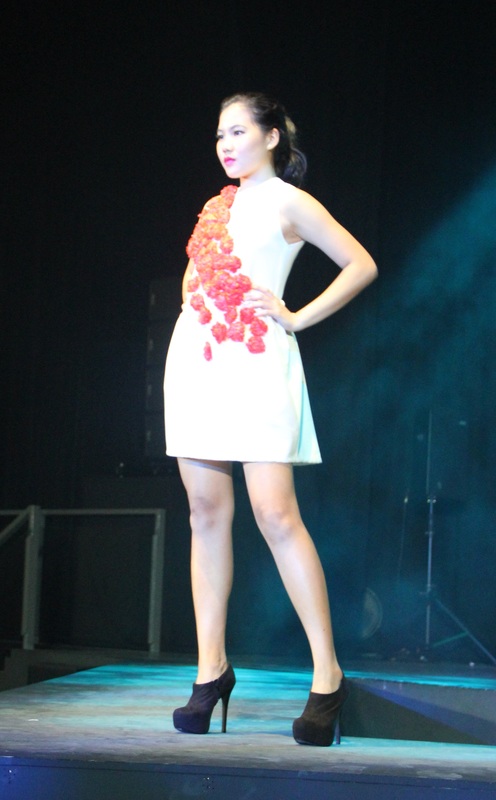 A common motif across most of the designs was that of flowers – particularly roses, that were sewn onto the outfits by the designers. There was also a widespread use of a white colour base and soft pastel colours, perhaps in reflection of Eden-like purity. 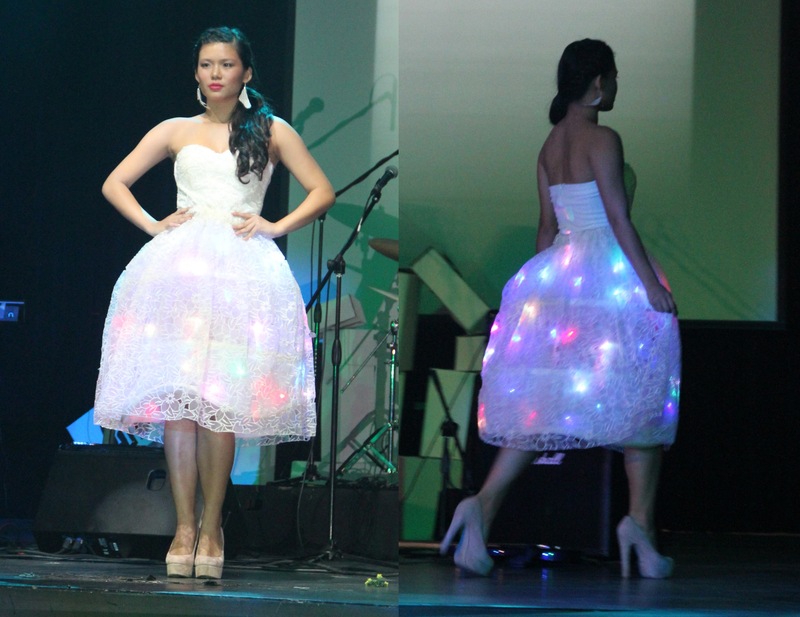 This presentation sequence closed with Brenda Tan’s stunning outfit design – a pure white dress with string lights incorporated into the full bodice, which drew gasps in the crowd. What a stunning, eye-catching spectacle to mark the finale end of the first theme. The untainted Eden perfection quickly descended into a sinister mood as the “Sin” collection took to the stage; in short, it was literally Paradise Lost. Outfits in this collection took on a darker tone with the common motif of chains and dark brooding colours, perhaps reflective of the trapped and helpless state of the human condition enslaved to sin. In contrast to the white and pastel colours earlier, the colour combination of red, black and white evoked a dark and hellish motif, with the complementary use of skulls and dark make-up for the models. 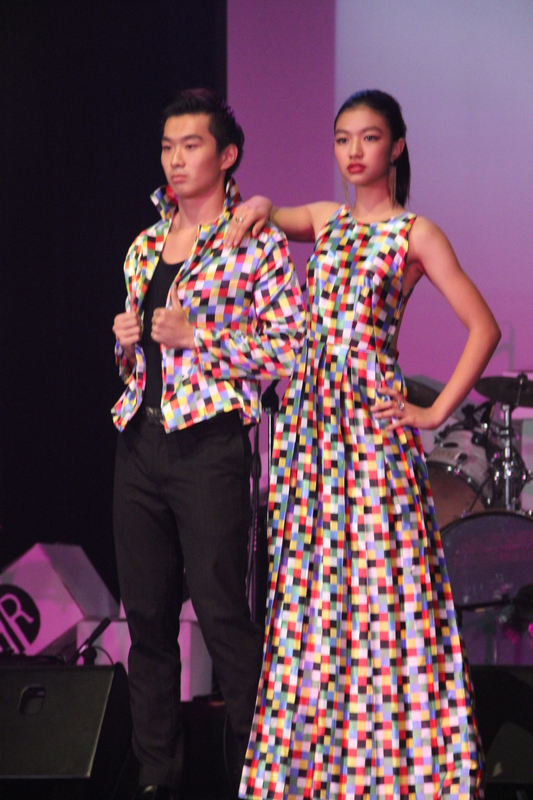 Finally, the last theme of the presentation was “Rapture”, featuring outfits designed solely by the graduating batch of Year 6s. Once again, this theme drew inspiration from a biblical reference to the spiritual restoration of joyous paradise. This collection featured several couple outfits cut from the same cloth, and there was more freedom in the vibrant colour schemes of the outfits. Plunging necklines and tastefully bared backs were the order of the night, but Brian See took it a whole other level when he emerged in only a blazer designed by Jeanine Cheok, exposing his muscular upper body that drew cheers and whistles from the crowd. The models pulled moves all round to entertain, with risque poses and gestures. The conclusion to the whole event reconciled the faceless names on the presentation slides with the talented designers who had painstakingly created all the colourful and stylish outfits on view from scratch, not to mention organizing and executing the whole event to near perfection – the audience fittingly applauded them as they in turn graciously shared the credit by paying tribute to the various people who had worked together to make this event possible. Brenda also shared with us some of the gruelling yet unseen challenges along the way, which included “having to spend late nights up sewing, staying awake since 1am on show day in order to set up the custom-made V-shaped runway and ensure that things were ready for the show in the afternoon”. Moreover, she added that planning for such a large-scale event with a small team of individuals required a lot of work and communication too. On behalf of all the models, Eugene also wanted to pay tribute to all the designers who did make-up and dressing on the day of the actual shows, as they “spent a lot of time and effort to make sure the models looked their best”. 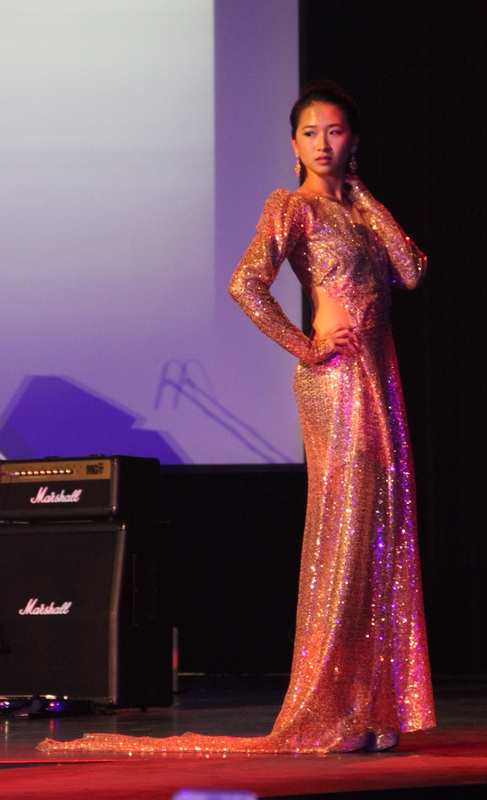 This sentiment was echoed by his fellow model I/C Meaghan Chan, who was also modelling for RProject for the second year running, described the event as an “astounding success” and attributes this to the “tremendous effort put in by the organizers and designers”. She went on to wax lyrical about the “incredible” designers’ creations which “brought on tones that were mature, bold yet mischievous, elegant, innocent yet flirtatious”, and told us that the models “fell in love with these fabulous costumes”. In hindsight, Brenda stressed the sense of fulfilment and accomplishment that this endeavour has given her. “Nothing beats the feeling of selling out both shows and seeing everything work out smoothly. The process started 6 months ago, seeing designers through their designing and constructing phase right up till their roles in organizing the show, adds to the element of originality and responsibility. My batch in particular embarked on many new initiatives, which pushed the show to another level and made it less conventional compared to other fashion shows”. 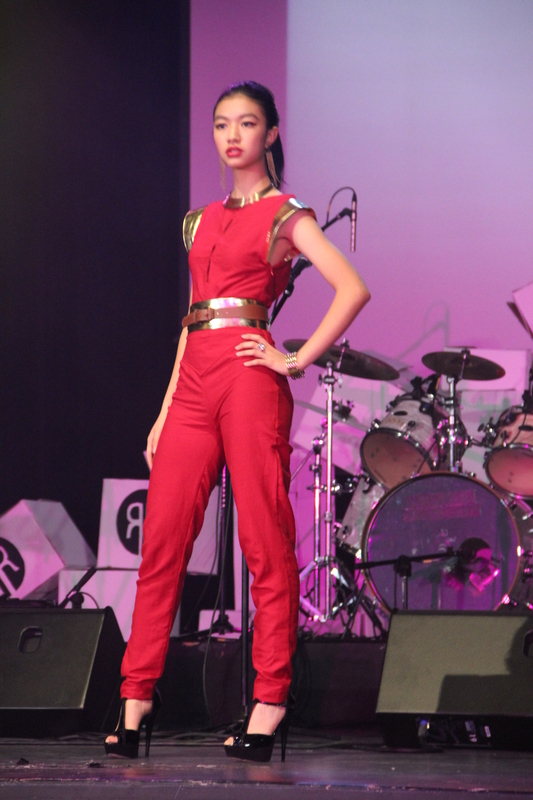 Eugene gratefully added, “It’s hard to find opportunities like runway modelling in Singapore, and we are lucky we could experience it as students in Raffles as part of RProject”. 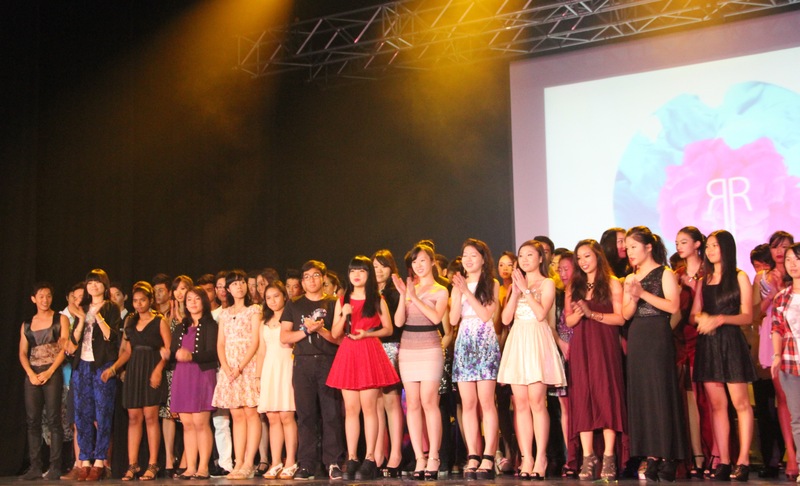 With that, Raffles Press would like to sincerely congratulate Raffles Runway and all the models for putting such a great show and we look forward to even greater exploits by Raffles Runway in future!